From Chapter Ten, Great Fires, the unfinished manuscript of Gary Cornell, retired East Liverpool Fire Department firefighter and Fire Department historian. 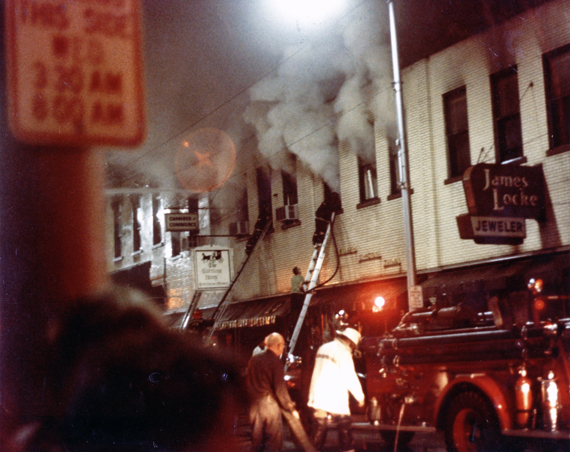 This blaze occurred July 30th, 1973 and resulted in $166,000 damage. The building is located at the corner of E. Fifth & Broadway. It is home to James Locke Jewelers, the Carriage House florists and, at that time, the Chamber of Commerce. . .